On November 14, Estonian Ministry of Culture expressed support for the proposal by the Estonian Dugout Canoe Society (MTÜ Eesti Haabjaselts) and URALIC Centre for Indigenous Peoples (MTÜ Põlisrahvaste arengu keskus) to nominate the dugout building tradition of Soomaa region into the UNESCO Representative List of the Intangible Cultural Heritage of Humanity. As a next step, the Ministry of Culture suggested to begin preparation of the application. This marks beginning of the next stage of the initiative “Soomaa dugout canoe to UNESCO!” to which the Estonian National Commission for UNESCO, Estonian Folk Culture Centre, additional experts and partners will be engaged. As a reminder, the Estonian Dugout Canoe Society and URALIC Centre for Indigenous Peoples submitted a joint letter to Mr. Indrek Saar, Estonia’s Minister of Culture, on October 10 with a request to support the nomination of Soomaa dugout canoe building tradition into the UNESCO Representative List of the Intangible Cultural Heritage of Humanity, due to the significance of dugout canoe building skills in the intangible cultural heritage of Soomaa and the entire Pärnu river basin. Another reason for taking the dugout canoe tradition to UNESCO is the key role of one-log boats in the intangible cultural heritage of many Finno-Ugric peoples. Hence, the recognition of Soomaa dugout canoe building tradition by UNESCO would also help valorize and preserve the tradition of one-log boats among Finno-Ugric peoples of Russia. Initiators expect to reach an important milestone – for example, submission of the nomination by Estonia to UNESCO – by 2010 when the 8th World Congress of Finno-Ugric peoples will be held in Tartu, Estonia. 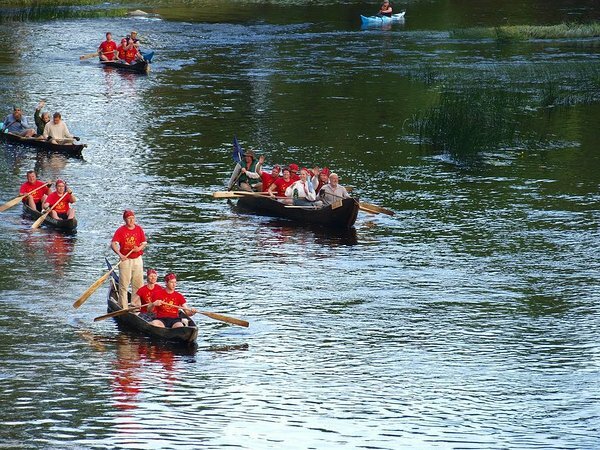 On that occasion, the first ever procession of Finno-Ugric dugout canoes will take place on the Emajõgi river.